Mandacaru - A fishermen village where the main attraction is the 54 meter lighthouse from where we can enjoy an amazing view of the park. Caburé - An isolated village with rivers and beaches, where the visitor can enjoy great swimming. It is worth spending the night in Cabure to try the local restaurants. The Parque Nacional dos Lençóis is a place for direct contact with nature. It is advised that visitors wear light clothes (shorts, short sleeves, swimming suit and sandals are a good choice). Also do not forget to pack, sunscreen, dark glasses, and hat. Departure in the Morning , As from 07:00 a.m.,regular land transfer (the trip takes about 03h30. 270 km in good road) to Barreirinhas city (Gateway to the Lençóis Park). Arrival and Accommodation. 02:00 p.m., 4x4 trip to the Great Dunes (Off Road Track + Walking on the dunes + Swimming in the lakes). Free night. Overnight at Porto Preguiças with breakfast. After breakfast, 08:30 a.m., speedboat trip on Preguiças River, stopping at the communities of Vassouras (small sand dunes), Mandacaru (overview from a light house) and Caburé (beach). Return to Barreirinhas in the afternoon. As from 4:15 p.m., regular land transfer to São Luís. Overnight at Hotel Brisamar ( or similar) with breakfast. • Transfer IN+OUT private with bilingual speaking guide. • Speedboat trip at Preguiças River . • 01 night at Porto Preguiças or similar with breakfast. • Food, drinks, personal expenses and optional trips are not included. • Luggage limit: 10 kg per person. We don't ensure the transportation of over overload. • Dead line – 12 working days before its beginning. Packages not canceled within this dead line will be charged as NO SHOW. • Exact time for tours and transfers will be confirmed after 18:00h the day before . • Price for 01 child in the room with 02 adults : INF (0-02 years): 10% of adult price// CHD (03-07 years): 50% of adult price// over 08 years pays as an adult. • Light clothes, hats, mosquito creams, sun scream and sun glasses. • Drink liquids and have light meals before the trips. 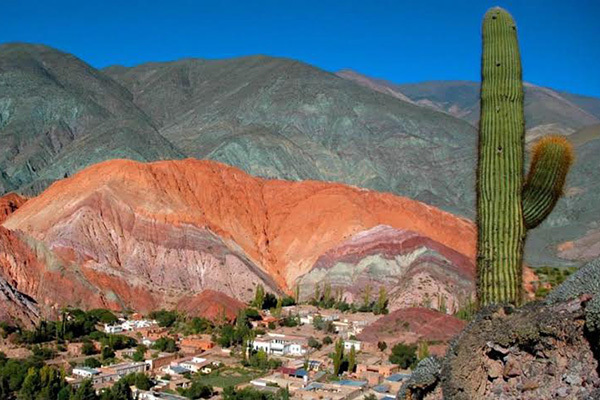 Package price per person – rates in USD: Please contact us for updated prices. 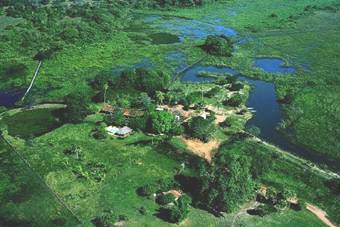 The Pantanal, a World Heritage Site and Biosphere Reserve by UNESCO is one of the world’s remaining great Wilderness and the largest continuous flood plain of the planet. It is South America’s primary wildlife sanctuary covering a total of 240,000 km² / 149,129 mi² at the center of the continent. The Pantanal is a biogeography mixing bowl, containing elements of the Amazonian and Atlantic rainforests, the Brazilian Savanna and the Paraguayan Chaco. This fantastic biodiversity is the home of 698 bird species, 100 mammals, 177 reptiles, 40 amphibians and over 250 fish species. Important Note:Activities may be changed due to weather conditions, time of the year or guests interest. 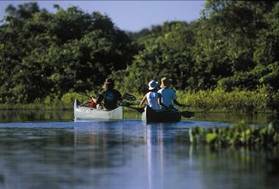 The Araras Pantanal Eco Lodge staff will endeavor its best to make this trip of the Pantanal Flood Plain an unforgettable experience. Araras Pantanal Eco Lodge is at the heart of a unique place – the Pantanal flood plain, South of Cuiabá - capital of the state of Mato Grosso. Built in harmony with the environment, without skimping on comfort, the lodge is easily reached by car year-round using the Transpantaneira Park Road, 132 km (82 mi). A ride on this scenic road is a delight and transfers using air-conditioned vehicles are always an exciting photo-safari. Lodge: Accommodation for 42 guests in double, triple and quadruple rooms, with ceiling fan, air-conditioning, hot and cold shower. A comfortable veranda with hammocks, bar, internet access, swimming pool, restaurant and 3 on site observation towers.From the lodge and untouched surroundings, first-class bird-watching, trekking in pristine forest, canoeing, horseback ride, photo-safari on trucks, night tours. 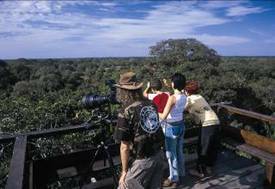 There are three fantastic Observation Towers close to the lodge: Mirante da Garça/Heron’s Lookout, 12 m / 39.5 ft. high and 200 m / 656 ft.; Torre dos Macacos / Monkeys’ Tower – 25 m / 82 ft. high and 800 m / 0.497 mi., and Torre dos Tuiuiús / Jabiru Storks’ Tower – 13.5 m / 44 ft. high and 2.5 km / 1.55 mi., from the top of these towers a superb view. All activities are under the assistance of expert bilingual naturalist guides.Meals are prepared with organic produce direct from our orchard or nearby suppliers. Dishes are a sampler of the simple homemade farm cooking and lunch and dinner buffets include salads, vegetables meat and delicious fish.